World Environment Day is celebrated globally on the 5th of June. 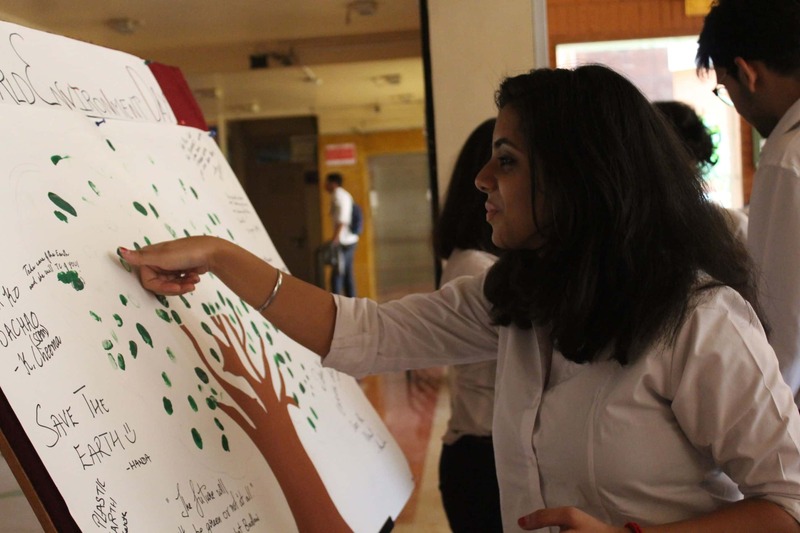 To mark this event, we at Symbiosis Centre for Management Studies, Pune organised various activities round the day. 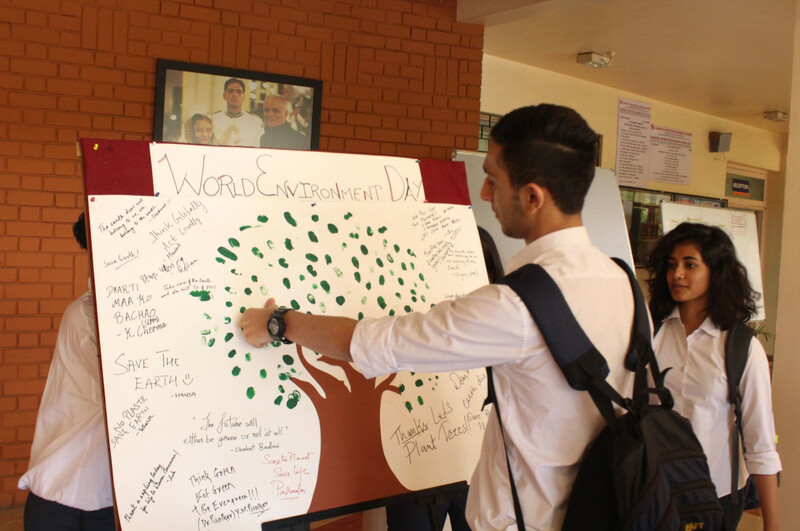 The objective was to generate awareness among the students about the importance of eco-friendly practices that positively impact Mother Nature. 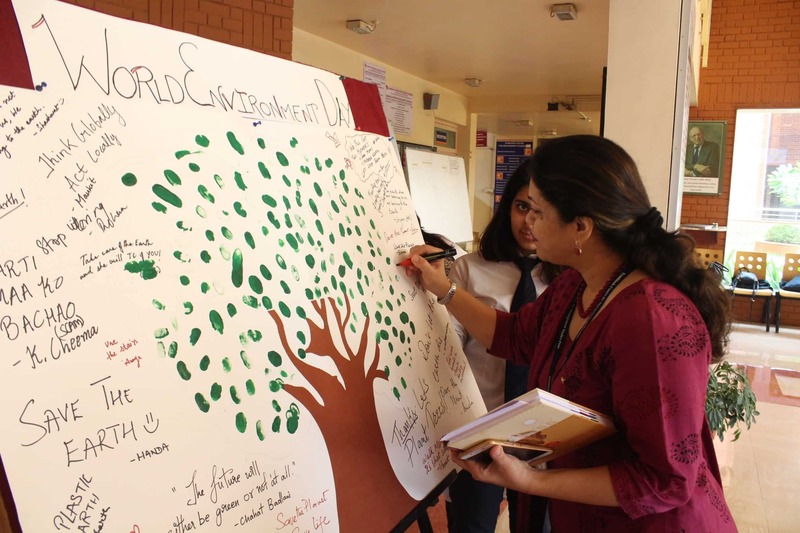 With a mix of an awareness drive and action oriented events, the day began with students, faculties and staff coming together to pen down messages and leave green fingerprint, acknowledging their support towards building a greener planet. Each message carried a silent promise to contribute in whatever ways possible. Followed by this, the students gathered in the lobby during the lunch break for Encore, the Music Club’s performance. Singers beautifully recreated the famous song, ‘Heal the World,’ holding utmost relevance to this day. 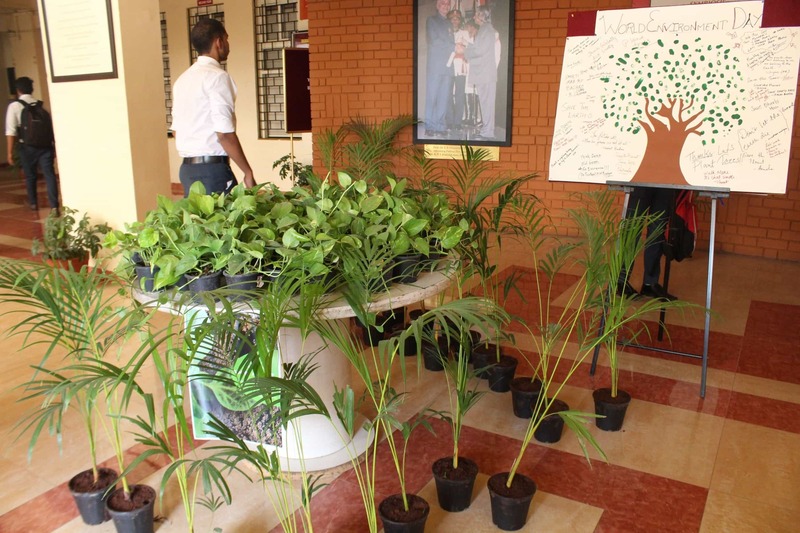 Parallelly we ran a Plant Adoption Drive, conducted by ExploreIT. 150 saplings of indoor plants were displayed for sale to the students and the faculties, all of which we were successfully adopted. 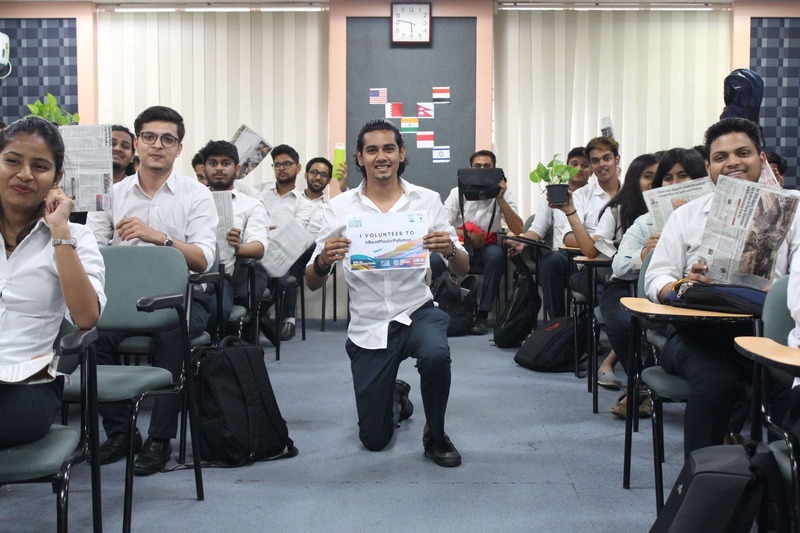 The evening session began with 35 students coming together from Second Year and Third Year for an open mic on ‘Adopting eco friendly practices in daily lives.’ Students shared a lot of valuable information and experiences which provided us insights about the Go Green Campaign. We ended the open mic by suggesting areas that should be worked on within our campus. Followed by this, we held a short video screening session, which definitely left a deep impact on our minds. To conclude the events, we organized a Newspaper Bag making workshop, where we reused newspapers to make 40 shopping bags. Students were encouraged to further pass on the knowledge gained to more people and support the banning of plastics. 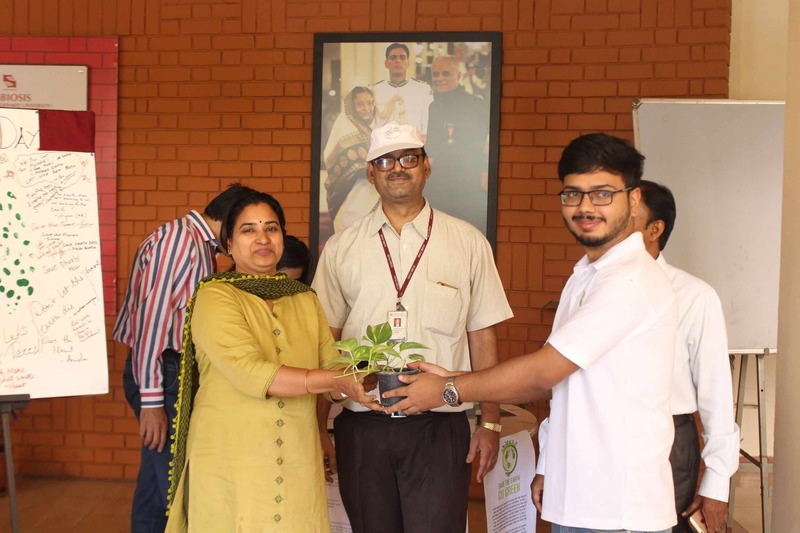 Thus, we concluded the World Environment Day celebrations for the year, hoping to have initiated a small movement which will create a huge impact.